Apologies if this is the incorrect forum to ask advice about purchasing a smartwatch from the net. I do a fair bit of cardio and gym work and recently noticed that the treadmill is sometimes showing my heart beat as being high when I haven't even exerted myself, let alone warmed up and have been thinking about buying a smartwatch to monitor my heart beat when doing cardio or working out with weights, and when not working out. The appears to be a squillion on the market and aesthetically, I like the Garmin Forerunner 35 black which looks good and has a built in GPS which could come in handy, 9,207 baht from Lazada Thailand, free delivery. Anyone purchased one of these online and are happy with it, or others, I not an online shopper. I have had a FitBit Charge HR and the battery life was 3-4 days and it was a bit fragile. I replaced it with a Mi Band 3 and this for me is perfect, 2-3 week battery life and it displays my smartphone notifications (I can select which apps can do this). I now have more phone on silent and no vibration because the Mi Band 3 vibrating on my wrist is sufficient to alert me without disturbing others. The Mi Band 3 is also waterproof to 50m so I only take it off to charge it (I use it to mostly track my sleep). It cost me £20 so I'm not precious about it, don't bother taking it off for DIY and don't worry about it being damaged though it's very robust and has been fine so far. The function for finding your phone using your smartwatch is handy if you mislay your phone. Basically I love my Mi Band 3 and highly recommend it. For not much money it's worth giving one a go. Xiaomi Mi Amazfit Bip, up to 30 days on one charge which is a major plus! In built GPS to track running, walking, cycling. Even has a treadmill setting. About ฿2000, many sellers on Lazada. Does the HR monitor actually work? Is that a leading question? When I get knackered it goes up, when I relax it goes down if that helps. 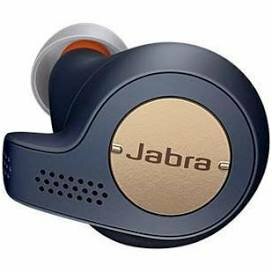 I use a jabra elite 65T blue tooth ear bud. You can put in one or both. It has the exercise tracking software auto hookup. Pop it in ear and listen to tunes and your phone tracks exercise. Also has hear through so you can hear ambient sounds as well. I have a couple of smart watches and never wear them. Asus and an exercise and heart monitor/blood pressure bracelet one (uses Iband software). The Asus is too heavy and the exercise one with the blood pressure and heart monitor is nice but I like the Jabra better because of the easy connection. Jabra sport has the heart monitor I believe. I'd decide on an OS first (Android 7.1, WEAR, other). The drill through the Youtube review videos. I'm leaning towards Wear OS, and the TicWatch E2 (6,990 list, 5,310 on Lazada). Would buy it ($160) on my next trip back to the U.S. where these are a lot less expensive. Not sure if smartwatches are subject to the 0% import duty for "computer kit", or the "watch" duty which can be quite stiff, so be careful if ordering from off-shore. Xiaomi Mi Amazfit Bip﻿, up to 30 days on one charge which is a major plus! In built GPS to track running, walking, cycling. Even has a treadmill setting. Sounds like what I am looking for and the price is perfect. Not being tech savy to say the least, can this just be used for the above without activating it as a smartwatch, e.g. without pairing it with my mobile as I like to keep things simple. So monitoring heart rate for exercise and keeping track of the time is really what I am looking for and if this can be done without activating the phone within it, great. If yes is the answer to that, will it require a sim card to activate it ? Unfortunately for you it pretty much relies on synchronising with the Mi Fit app to get the most out of it and needs to be paired with a smartphone initially. Once paired you can check status ( heart rate, steps, dist.) Weather and of course the Time directly from the watch. Notifications can be sent to the watch for messages etc but you can not answer telephone calls and talk on the watch but will be notified of an incoming call. No SIM card as it takes info from your phone.